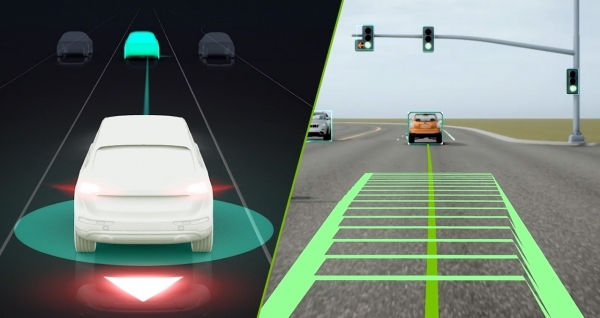 NVIDIA's AI, autonomous vehicles and related technologies, which have recently partnered with Cube Intelligence, have received worldwide attention. NVIDIA, the global leader in visual computing technology and the creator of the GPU, has recently unveiled a $99 small computer for AI development. On March 19, NVIDIA founder and CEO Jensen Huang presented a small AI computer, 'Jetson Nano', at the GPU technology conference. 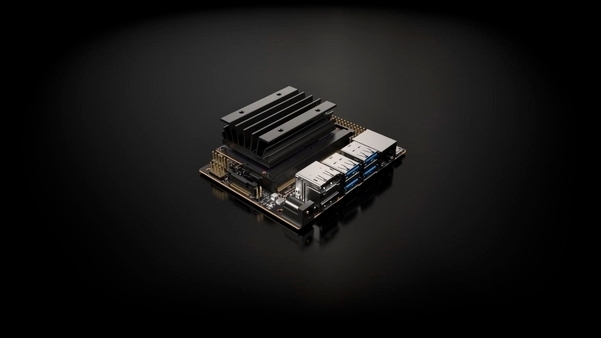 Jetson Nano will be available in two variants: a $99 ‘developer kit’ for developers and manufacturers, and a $129 ‘enterprise module’ for businesses. The developer kit is expected to be used for mobile robots, drones and automation devices at low cost. Especially, enterprise modules can be used for AI calculation by connecting multiple modules. The launch is scheduled for June. "The Jetson Nano supports the same architecture and software as those used in supercomputers," said Deepu Talla, vice president of NVIDIA's Autonomous Machines. I hope that Jetson Nano will bring everyone's AI access to life." In addition, NVIDIA released the SFF (a policy for autonomous driving) on the same day (March 19). SFF stands for 'Drive AV Safety Force Field (SFF)', which means a calculated defensive driving policy to prevent autonomous driving car collisions. This SFF is a technology that analyzes and predicts the movements of the surrounding environment by collecting sensor data and determining measures to protect vehicles and other road users. In addition, the SFF has been verified through precise simulation of highway and urban driving scenarios that are dangerous to reproduce in reality. "Autonomous vehicles with mathematically designed SFFs protect themselves from danger and do not create a dangerous situation like magnets pushing each other," said David Nister, vice president of autonomous driving software business department. 최근 큐브 인텔리전스와 파트너십을 맺은 엔비디아의 AI와 자율주행차와 관련 기술이 세계적으로 주목을 받고 있습니다. 비주얼 컴퓨팅 기술 분야의 세계적 선도 기업이자 GPU를 창안한 기업, 엔비디아는 최근 인공지능(AI) 개발을 위한 99달러 소형 컴퓨터를 공개해 화제가 됐는데요. 3월 19일(현지 시각) 엔비디아의 창립자이자 CEO인 젠슨 황(Jensen Huang)은 GPU 기술 콘퍼런스에서 소형 AI 컴퓨터 ‘젯슨 나노(Jetson Nano)’를 선보였습니다. 젯슨 나노는 개발자 및 제조사를 위한 99달러 ‘개발자 키트’와 기업을 위한 129달러 ‘기업용 모듈’ 두 종류로 판매될 예정인데요. 개발자 키트는 저렴한 가격으로 이동 로봇과 드론, 자동화 기기 등에 쓰일 것으로 기대되고 있습니다. 특히 기업용 모듈은 다수를 연결해 AI 계산 등에 활용할 수 있다고 하는데요. 출시는 6월로 예정돼 있습니다. 엔비디아 오토노머스 머신을 담당하고 있는 디푸 탈라(Deepu Talla) 부사장은 "젯슨 나노는 슈퍼컴퓨터에 사용되는 것과 동일한 아키텍처와 소프트웨어를 지원한다"며 "젯슨 나노가 모든 이들의 AI 접근성을 한층 끌어올릴 것으로 기대한다"고 강조했습니다. 또한 엔비디아에서는 같은 날(3월 19일) 자율주행차 주행 정책 ‘SFF’를 함께 공개했는데요. SFF는 정책 ‘드라이브 AV 세이프티 포스 필드(SFF)’의 약자로 자율주행차 충돌 방지를 위한 계산형 방어 주행 정책을 의미합니다. 이 SFF는 센서 데이터를 수집하고 차량 및 기타 도로 이용자를 보호하기 위한 조치를 결정함으로써 주변 환경의 움직임을 분석하고 예측하는 기술을 뜻하죠. 또한 SFF는 현실에서는 재현하기 위험한 고속도로 및 도심 주행 관련 시나리오를 정밀 시뮬레이션을 통한 검증을 거친 상태입니다. 데이비드 니스터 사업부 부사장은 “수학적으로 설계된 SFF를 적용한 자율주행차는 서로를 밀어내는 자석처럼 스스로를 위험 상황으로부터 보호하며 위험한 상황을 유발하지 않는다”고 소개했습니다.